What are the Health Benefits of Eating Local Pork? What are the Health Benefits of Eating Local Pork? Home > Cattle Services blog > What Are the Health Benefits of Eating Local Pork? If you’ve never eaten local pork before, we highly recommend it. Not only does it taste great, but it is also associated with several health benefits. Mills Family Farm pork is nitrate and nitrite free, all natural and has no added hormones. •High in Protein- Protein is an essential nutrient that helps your body repair its muscles after you exercise. Additionally, protein also ensures that your immune system remains strong. In a three-ounce serving of local pork, there will be about 24 grams of protein. Most adults need approximately 0.8 grams of protein for every kilogram of body weight on a daily basis. Eating pork is a great way to ensure you’re getting enough of this nutrient. •Weight Control- Eating more calories than your body naturally expends can result in weight gain. Local pork can help you prevent cravings and other habits that lead to gaining weight because this type of meat is low in calories, yet extremely filling. •Zinc- Women need about 8 milligrams of zinc every day, and men need approximately 11 milligrams. People who don’t get enough zinc in their diet may suffer from night blindness and a weakened immune system. Eating local pork can help your body attain enough of this nutrient because a three-ounce pork chop contains about 1.9 milligrams of zinc. If you want to make a nutritious meal for your family, grill, roast or braise your pork instead of frying it and serve with a salad or some cooked vegetables, like asparagus or broccoli. 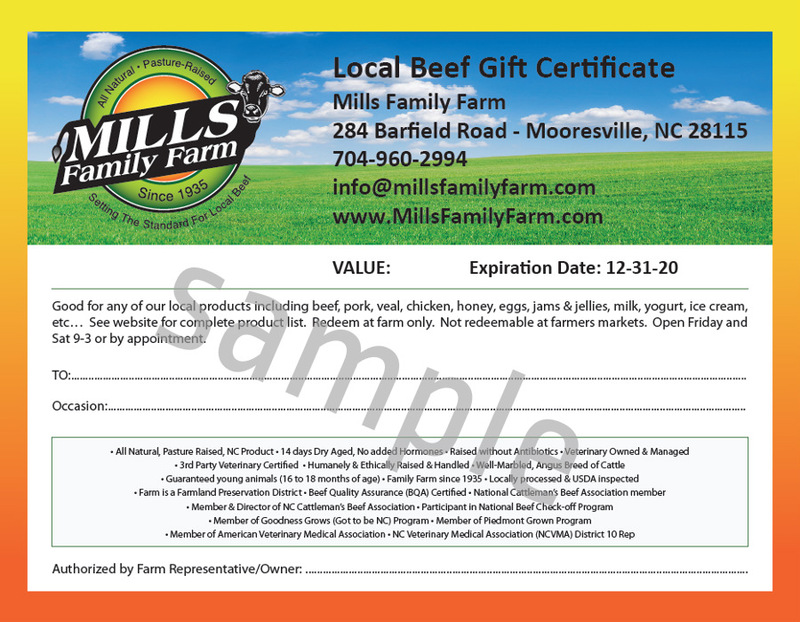 The next time you pick up some meat from us at Mills Family Farm, make sure that local pork is on your list.